Working whilst skin is most receptive to repair, the soothing night cream delivers a veil of hydration to the face, to allow for a superior beauty sleep. Harnessing the powers of OsmoGuard™ an exclusive blend, the de-stressing formula provides a breathable shield to the surface of the skin that protects against environmental stressors, which includes age-inducing pollution. Complete with Venuceane™, the protective cream aids in preventing photo-ageing, allowing skin a deserved rest. 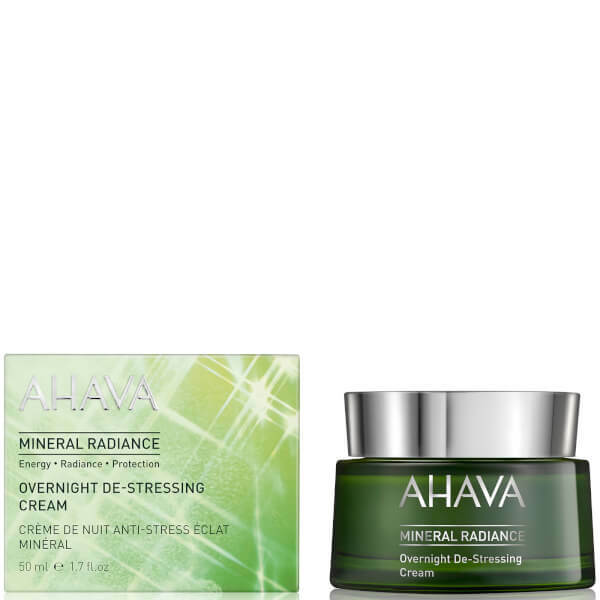 Prepare to awake to rested and relaxed skin. After cleansing, apply a small amount evenly over face and neck. For best results, use daily in with AHAVA Mineral Radiance Cleansing Gel.